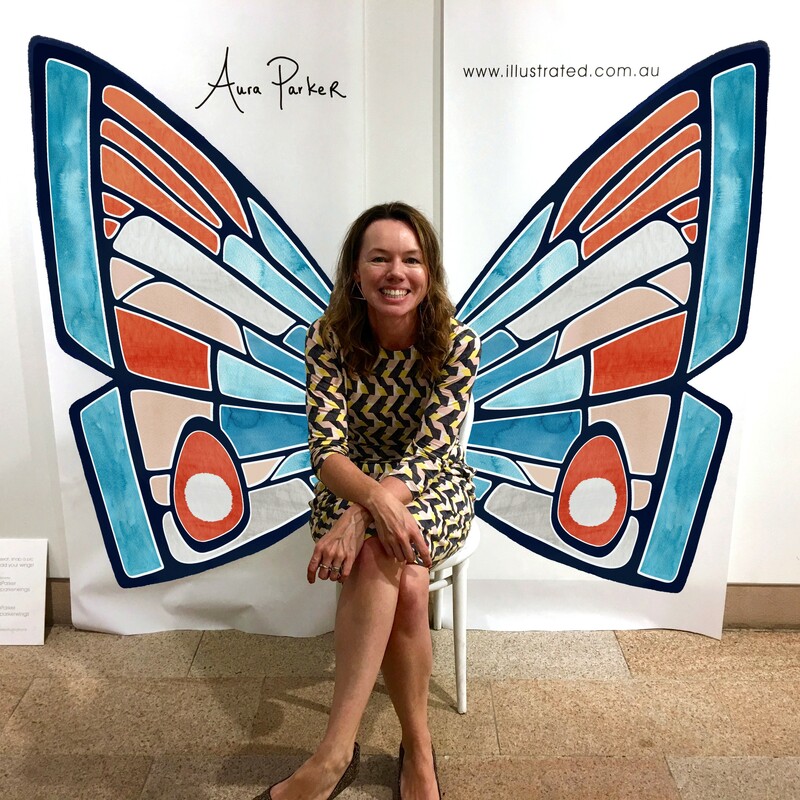 In part two of this interview, author/illustrator Aura Parker speaks about her upcoming books, her agent, engaging kids with books and her top tips for those wanting to squeeze into the industry. Read or refresh you memory of Part 1 here. Cocoon is coming out this November, what can you tell us about this book? I am excited about Cocoon. 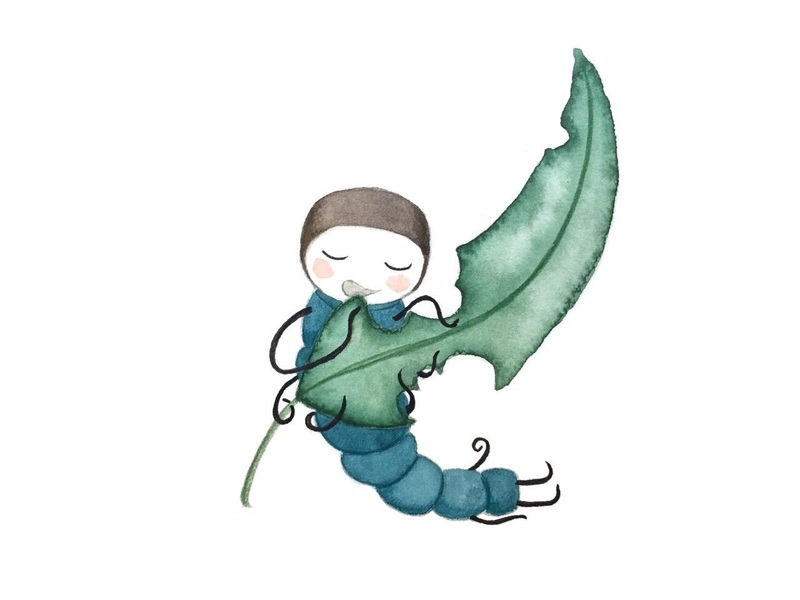 It is an uplifting story about an optimistic little caterpillar who enjoys a nice leaf or two. Funnily enough, patience and resilience feature strongly in Cocoon – and that’s what you need to make it in publishing! 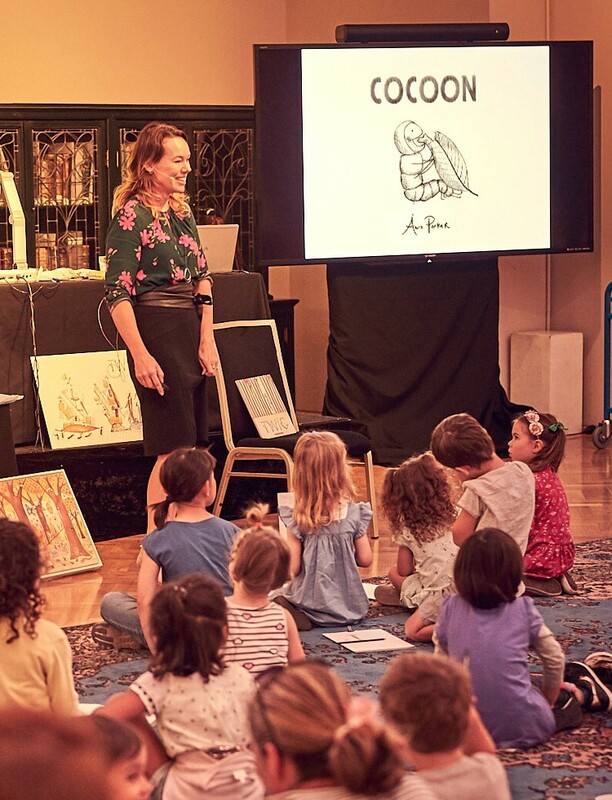 I read a sneak peak of Cocoon to some kids recently during my workshop at the State Library and it was received with smiles and giggles, which was lovely! I am currently working on the final art in watercolour, coloured pencil, pen and digital and it will be in bookstores in Australia just in time for Christmas 2018. This one is also with Scholastic, was this somehow a flow on from having Twig published? Yes, it stemmed from working on that project in a couple of ways. I am lucky to have found a publisher early in my career who has been kind and generous with her time as I developed the book. In the early version of Twig I had a silk worm who was the teacher, she spun a cocoon and disappeared out of the scene. I edited her out because, although it was cute it didn’t move the story along and that little character sprouted her own story, which is wonderful! So, you might find an unused idea can bloom into a whole new project. I made an illustration for Cocoon week in the 52 Week Illustration Challenge using the little caterpillar, and Rebecca saw it on my Instagram and she said, ‘there’s a story in there!’ and prompted me to write the book. Wow – I love how that all happened! Something on the cutting room floor ended up it’s own little character! Your next two books are with Penguin Random House. Again, could you tell us how they came about? My agent introduced me to the people at Penguin. Although I had met publishers and lots of authors at book events, I hadn’t met the publishers from the Penguin side. My agent has been helpful in getting my work into people’s hands. During Book Week I was at a school visit and I checked my email between sessions to learn that there was an overwhelmingly positive response to my work at an acquisition meeting. We had a meeting at Penguin Random House with the head of children’s publishing, Laura Harris, the commissioning editor Heather Curdie and my agent Pippa Masson came along too. They made an offer for two stories. The first is Meerkat Splash. It is a fun read aloud picture book full of rhythm, colours and meerkat friends who gather together for bathtime. It is a snuggly, cuddly little book and I can imagine it being read over and over at bedtime. 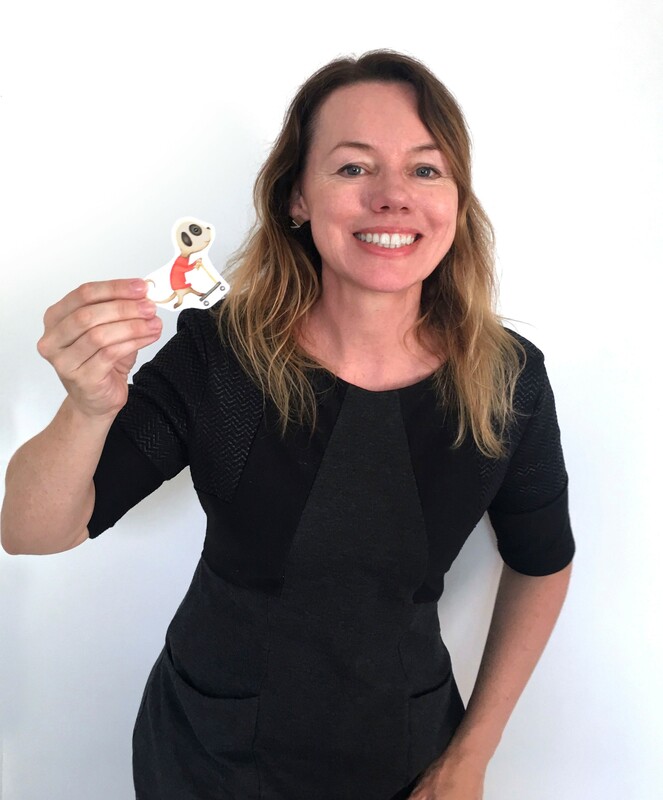 I am absolutely thrilled and I am looking forward to working with Penguin Random House on two books – and of course drawing lots of cheeky meerkats! We all hear that getting an agent can be as difficult (if not more so) than getting your book taken up by a publisher, so I’m curious as to how you got to sign up with Curtis Brown and why you thought this was important. I wanted an agent’s help with the business side and it feels good having someone to work with and we are talking about the future. I got in touch with Curtis Brown through their website and was invited for a meeting, which was casual and chatty. I took my portfolio plus some new manuscripts along. I am sure it would have been harder to get an agent earlier but I was already working in the industry by this time. You don’t get into this game unless you really love words, and the words you find in a publishing agreement are of a different and much scarier variety than what you would use in a picture book. Words like executed! Not just a little bit executed, but FULLY EXECUTED! You might not think you want to be fully executed, but in terms of contracts, yes you do! The contract for Meerkats is 7500 words and the story itself is a mere 270 words. Seriously, that is the WHOLE BOOK! (It took a lot of versions to write those 270 words, it is a rhyming text and I am a terrible critic of my own work but I guess you have to be if you want to make it better). Over time I have educated myself thanks to the ASA, as they have a contract review service, but I did want help from a literary agent with rights, pay, contracts and industry / career guidance as well as pushing my work out into the world. What have been discouragements for you in this writing/illustrating/publishing process? How have you dealt with these? There is a lot of uncertainty to overcome when pursuing a career in publishing and I am constantly surprised to find my expectations are way off. I have to admit that everything takes roughly twice as long as I expect and things are always much more grand in my imagination. I believe in books though, and I am passionate about inspiring kids to be creative. Most of all I really love the work of writing, and making the words bubble and sing gives me a lot of pleasure. I am here to stay and hope to make some beautiful books for children in the years to come. I’ve seen you hold exhibitions and workshops around the place and that you love engaging kids with story and art – and in such creative ways, like bringing along stick insects! 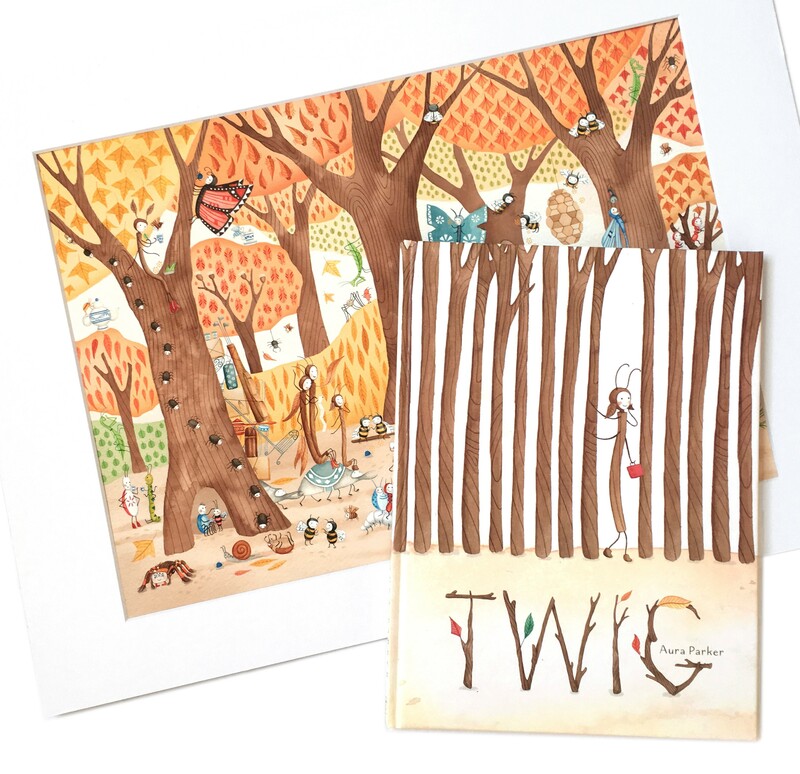 Your book launch for TWIG was amazing and such fun – I drew a lot from your launch when planning my own (sans insects!) What do you love about doing public events and do you think it helps other aspects of your career? Twig is about Heidi’s first day at Bug School and yes, I do have stick insects who come along to libraries and school visits with me. Kids love them! I did an illustration tutorial and story time session at the State Library of NSW recently. It was a lot of fun and the kids were really engaged. I show them how to draw my character step by step and then they draw too. Reading and sharing the book with kids is what it is all about. They are soaking it all up and ready to charge off to make their own stories – and they always ask the funniest questions! It is good to get out of the studio for a bit when you work on your own and it helps spread the word about the book. I now have a speakers’ agent, The Children’s Bookshop Speakers’ Agency and it is a new source of income from creative work. What have you have learned from this process? What do you think would be helpful for others who want to write and/or illustrate for kids to know? My advice would be to trust your intuition and don’t listen to other people’s advice. Ha! Well, anyway here’s my two cents worth, which you should take or leave because everyone’s journey is different and when finding your own unique voice in words and pictures you need to do it your own way. Good things come to those who wait, write, re-write, wait some more and work really, really, really, really, really hard! I’m telling you YOU HAVE to work really hard! Stick with it, find the right people, and enjoy the work. I have met with all the people I work with in person before they signed me up. Be fussy about what you take on. Be prepared to try new things and if you fail at something try not to think of it as a failure, but an opportunity to make the next thing better. Revise, listen to the feedback and make up your own mind. If someone points something out that could be improved, examine it and find your own solution rather than just doing what they suggest. It’s your story! A big smile and thank you goes a long way, and what you give will come back in abundance. Best wishes for all your creative adventures. Thanks for having me on the blog. I am flying off to draw lots of caterpillars for Cocoon now. Thanks so much for giving us the inside story on all your publishing success. You can find me online here.